Taittinger is one of the few family-owned independent Champagne houses in Reims. 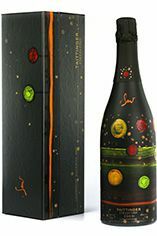 It produces a very classy Non-Vintage blend and complex Vintage Champagnes as well. 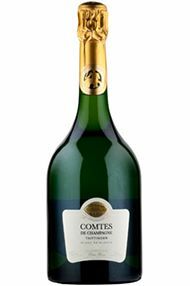 Its top Champagne is Comtes De Champagne - first produced in 1952, it is made from 100% Chardonnay grapes from 6 Grand Cru sites in the Côte de Blancs. This is finely aromatic, rich, creamy Blanc de Blancs at its best, though patience is required as the wine should not be approached for at least ten years. Taittinger is one of the few family-owned, independent Champagne houses in Reims. Its top Champagne is Comtes de Champagne. First produced in 1952, it is made from 100 percent Chardonnay grapes from six Grand Cru sites in the Côte de Blancs. This is finely aromatic, rich, creamy blanc de blancs at its best. 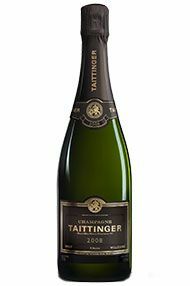 The 2006 epitomises Taittinger’s famed purity and elegance. This is a wine of the very highest calibre. The nose is beautifully poised, clean and pure with waxy lemon notes and the merest hint of biscuit. The palate is effortless, so fine, yet has no shortage of complexity or length. Citrus-laden, a tiny hint of white chocolate comes with the creamy texture. Tasted alongside the 2004 it is clear that the 2006 is going to develop in a similar, fine, fashion and I suspect, given the precision it displays now, the 2006 is likely to surpass that fine vintage in time. 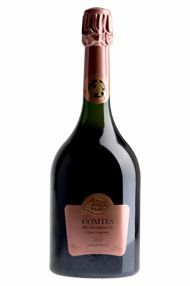 2005 Taittinger Comtes de Champagne is finely aromatic, a rich and creamy Blanc de Blancs at its very best. Although the 2005 can be enjoyed from release, a decade of patience will be well rewarded. When Pierre Taittinger first discovered the Champagne region, he was a young officer during the First World War. 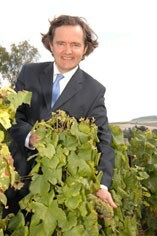 He returned several years later to invest his energy into developing a family-owned independent Champagne house in Reims which is still managed by the Taittinger family to this day. Francois Taittinger chose Chardonnay as the dominant grape as he believed that modern tastes would increasingly appreciate the lightness, finesse and elegance of the Chardonnay grape in their flagship offering - Comtes de Champagne - first produced in 1952. “We will never produce a large quantity of Comtes de Champagne because the technical characteristics we require so that this cuvée can be a very great wine are essentially unique in Champagne and very financially demanding. A triumphant blend of force and elegance, the Comtes de Champagne displays an eternal youth that it derives from the greatest Chardonnay of our province. Connoisseurs will appreciate it." 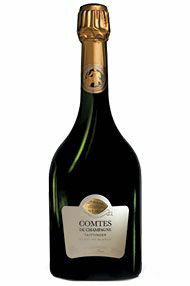 Les Comtes is, of course, one of the great all-Chardonnay Champagnes sourced from the finest Grand cru sites of the Côtes de Blancs. 1999 is a relatively forward vintage, captured in rich creamy flavors, a generous biscuity, autolytic character and a firm and discretely indulgent finish. Poise and power here, powerfully poised..